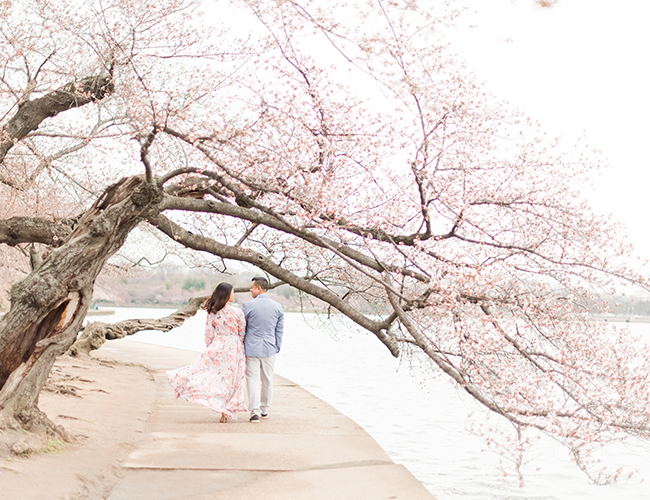 Cherry Blossom Engagement Photos in Washington D.C.
For East coasters, or anyone for that matter, the short season when the cherry blossoms bloom in Washington D.C. is truly magical. 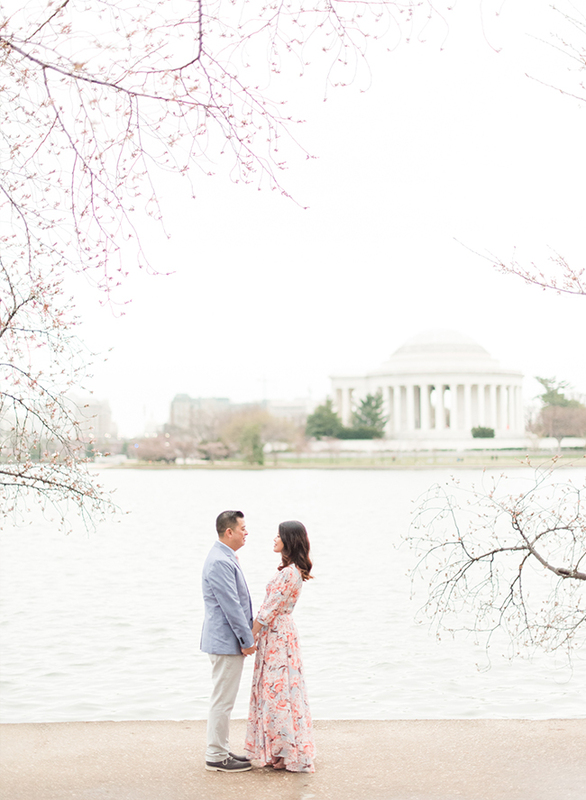 So, it’s no surprise, the bride to-be wished for these cherry blossom engagement photos. 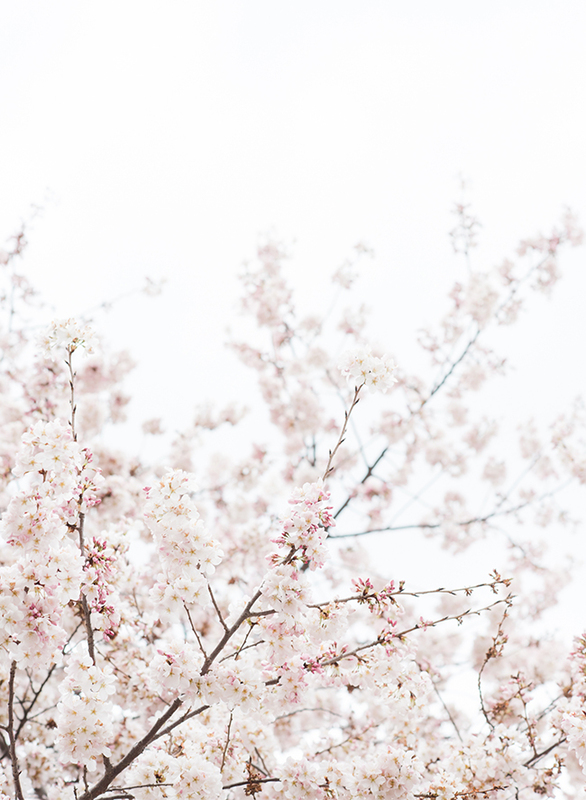 The beautiful pink blooms create a soft and wonderful atmosphere. 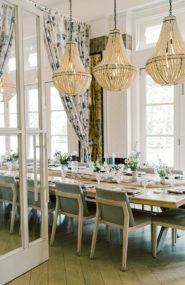 Quite perfect for an engagement, don’t you think? 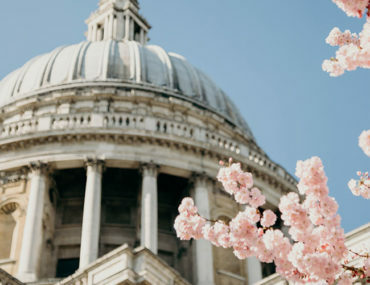 We hope you enjoy the stunning spring session! After 4 years of dating, Rodney proposed to My right before Christmas of 2016 at the National Harbor in D.C. under a giant Christmas tree! 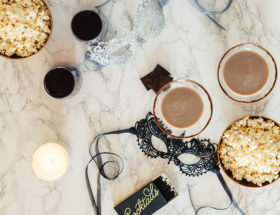 My and Rodney are opposite – My is an introvert, who likes quiet times and loves to simply hang out with Rodey and their 2 cute dogs! Rodney on the other hand is an extrovert. “He’s fun-loving and goofy!” how My described him casually. My fell in love with Rodney because of his personality; to sum it all up, he completes her. 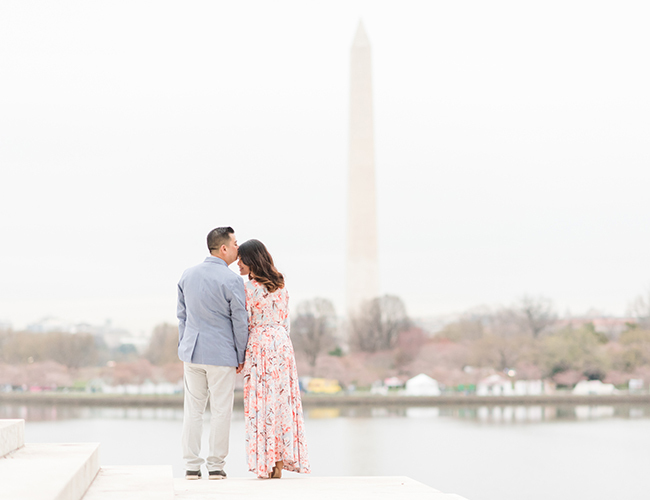 My’s dream was to have her engagement session done in D.C. during the cherry blossoms season. 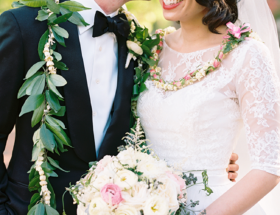 Well, her fairytale came to life! 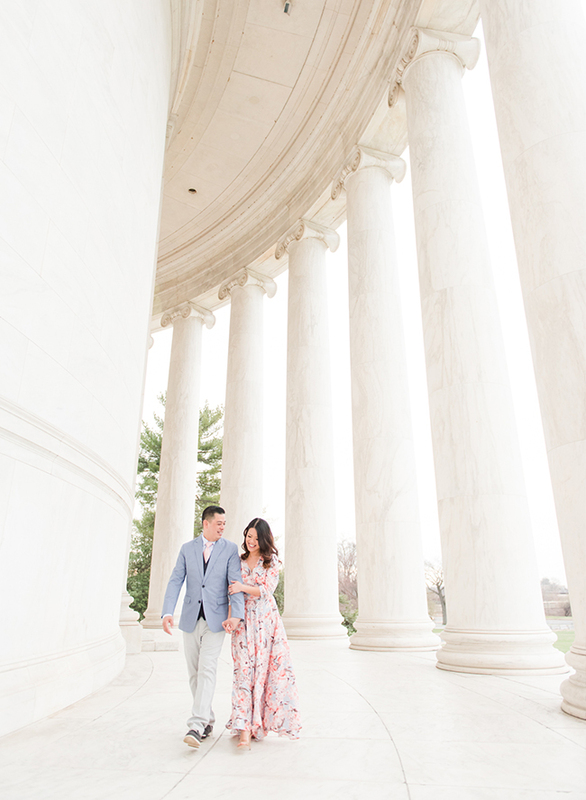 They started their engagement at the Jefferson Memorial. 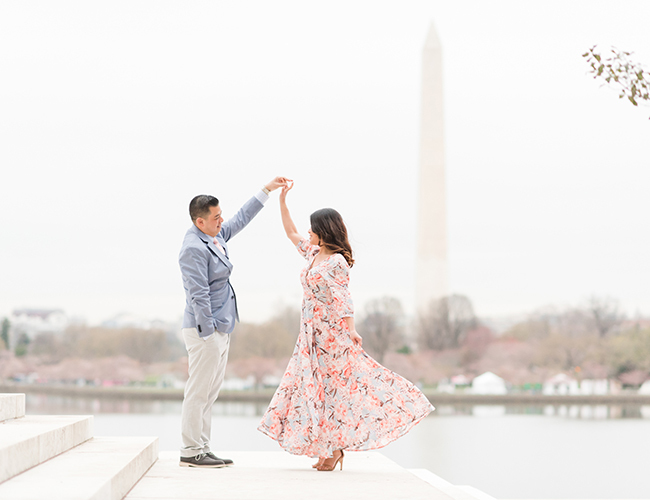 They wandered, chatted, and danced in front of the memorial overlooking the Washington Monument. It was breathtaking! 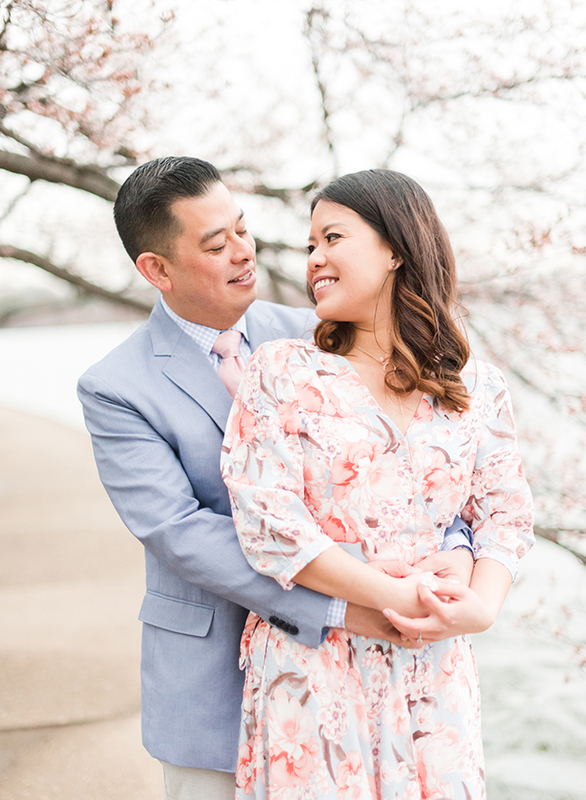 After their quick dance, they walked around the Tidal Basin and enjoyed the cherry blossoms while their blooming. 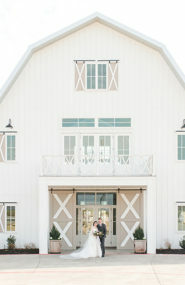 These two were inseparable and so in love! Their photos truly show their love and affection for one another. 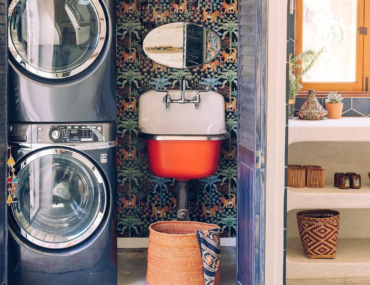 This is a gorgeous spot to take engagement photos! Love! Such West Wing or Scandal vibes I love it!! 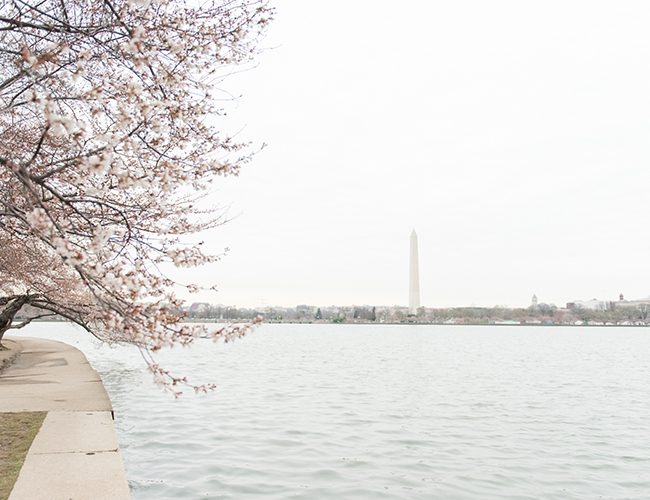 Love me some cherry blossoms! 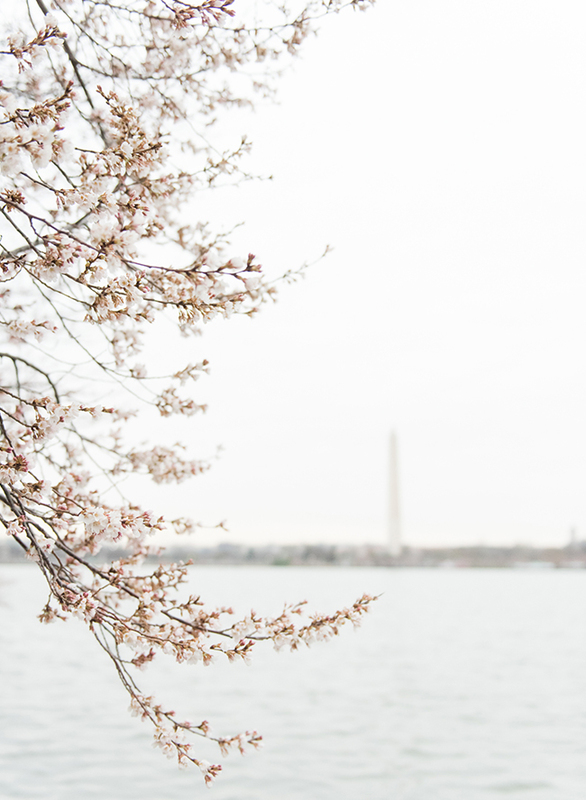 cherry blossom season is my favorite!! !